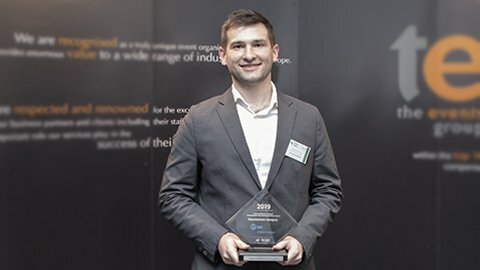 13/03/19 | In 2019 at PHARM Connect TEMPIX won the the 5th CEE Pharmaceutical Manufacturing Excellence Award in the solution provider category! 13/03/19 | In 2019 at PHARM Connect Lek Pharmaceuticals won the 5th CEE Pharmaceutical Manufacturing Excellence Award in the manufacturers category! 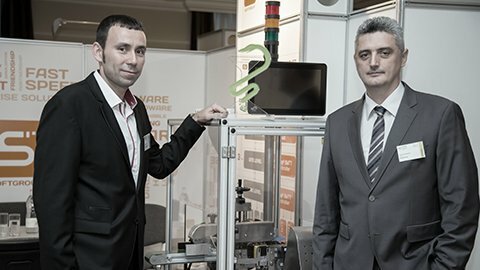 30/03/18 | In 2018 at PHARM Connect SoftGroup won the the 4th CEE Pharmaceutical Manufacturing Excellence Award in the solution provider category! 30/03/18 | In 2018 at PHARM Connect Lek Pharmaceuticals p.p. won the 4th CEE Pharmaceutical Manufacturing Excellence Award in the manufacturer category! 20/03/18 | PHARM Connect has become well known for its effectiveness in connecting professionals within the pharmaceutical and biotechnology industry in the strategically important region of Central and Eastern Europe and beyond. 10/03/17 | In 2017 at PHARM Connect Blulog won the the 3rd CEE Pharmaceutical Manufacturing Excellence Award in the solution provider category! Life science and business met at PHARM Connect on the 12-13 of March 2019 in Budapest to continue the tradition of providing high calibre, customised professional partnering opportunities for pharma and biotech professionals from Central & Eastern Europe and beyond. 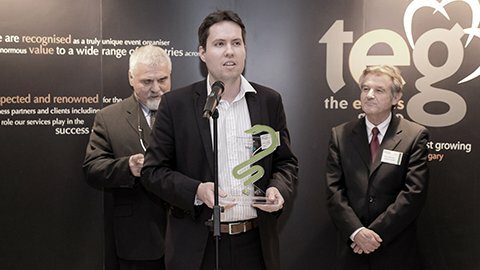 Read our post event press release and find out more about the agenda and the winners of the 6th CEE Pharmaceutical Manufacturing Excellence Award. PHARM Connect has become well known for its effectiveness in connecting professionals within the pharmaceutical and biotechnology industry in the strategically important region of Central and Eastern Europe and beyond. 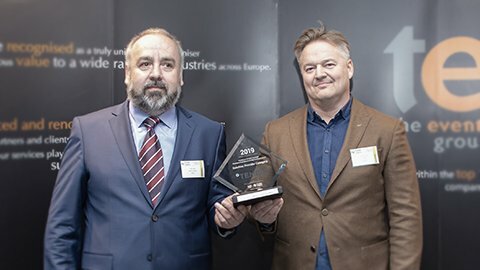 Read our post event press release from 2018 and find out more about the agenda and the winners of the 5th CEE Pharmaceutical Manufacturing Excellence Award. 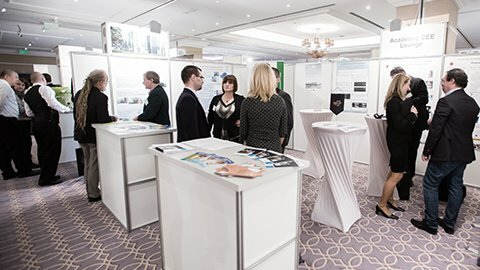 Drug Safety and the EU’s Falsified Medicine Directive in the Spotlight | More than 400 decision makers and professionals attended the congress from over 25 countries with the same purpose: sharing their experiences, building new partnerships, finding the best solutions for their company and preparing for the challenges of the new regulations. During the years of its existence, the congress not only became the leading pharmaceutical and biotech event in Central and Eastern Europe, but it has also started to build a regional, cross-industrial business community of professionals, who are seeking to build up knowledge, strengthen and create partnerships and explore the most innovative solutions available on the market. PHARM Connect has become well known for its effectiveness in connecting professionals within the pharmaceutical and biotechnology industry in the strategically important region of Central and Eastern Europe and beyond. 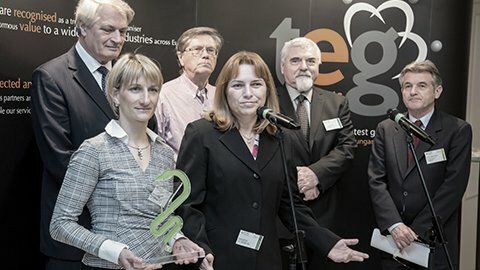 Read our post event press release from 2015 and find out more about the agenda and the winners of the CEE Pharmaceutical Manufacturing Excellence Award. If one had to describe PHARM Connect with one thought, it would most likely be the best all round platform for the entire pharmaceutical industry from early stage R&D to the sealed medicine on the shelves.